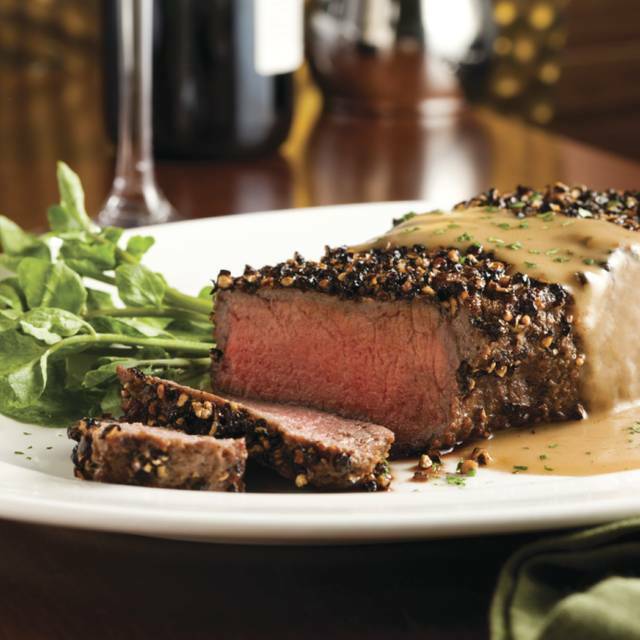 You must make reservations at least 5 minutes in advance of the time at The Capital Grille - Scottsdale. Our server Luis was great and took good care of us. Food was delicious. 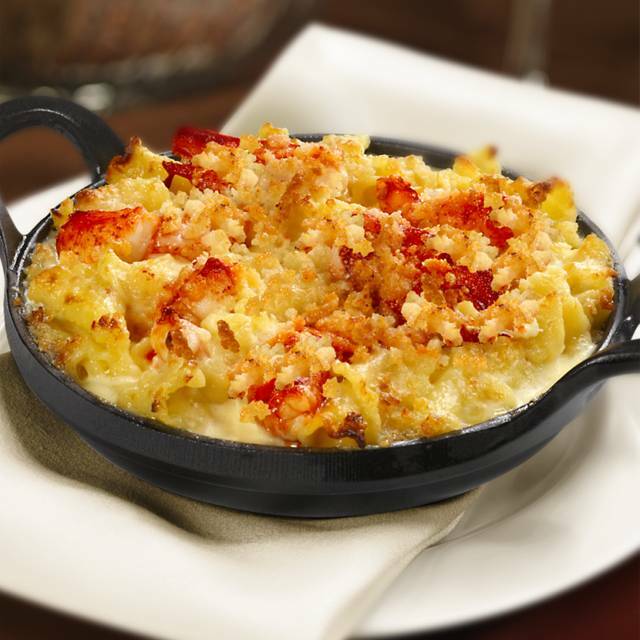 receive complimentary appetizers & desserts. Thank you! Easter brunch was absolutely delicious and yummy. Service was excellent!! 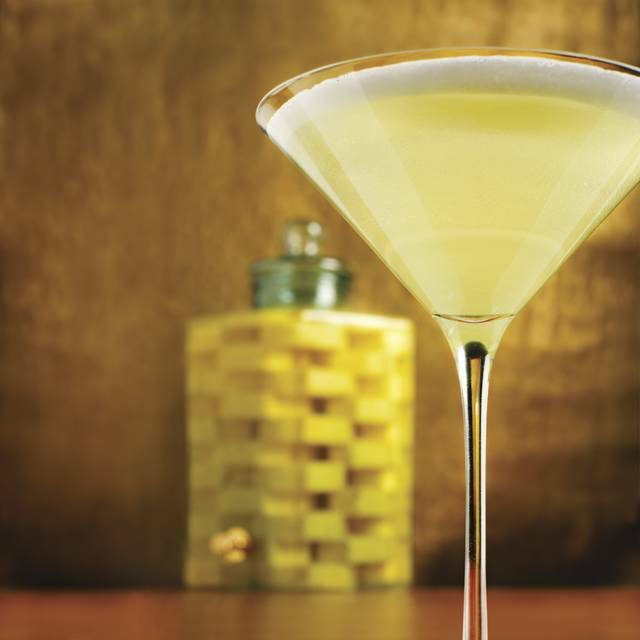 Always a quality night out at Capital Grille. Brian and his staff are amazing team and deliver the best meal and service anywhere! The service was excellent. Chris was very professional and was very knowledgeable about the menu. Always checked in on us, and made us feel comfortable. Crab and lobster bisque were amazing. It was great. It’s the third time in two months that I have brought someone there to celebrate a birthday. As always, Capital Grill made it a very special dining experience. Great food, great ambiance, great service. Very consistent with past visits. Our annual golf trip includes great golf and high end restaurants. The night before we went to Eddie V for fish. It was a five star experience. This was a three. Mostly everything was good but our expectation was higher. The food was very good it is training of the staff that needs to be improved. The negatives were: clearing the appetizers and entree of those that were done before the last person is done eating, having the maitre-de arrive ask how our meal was when we were just about done. One of our dinners was not cooked to his liking but by the time we were asked it was to late. I have been to other high end steak restaurants when your waiter asks you to check your meet immediately after it is served. It would have been nice if they had offered a free drink or dessert to make up for the kitchen. Would I recommend this restaurant - yes, but we would try another steak restaurant next time. Another great meal at the Capital Grille and thanks for honoring our table request. The staff made our birthday celebrant feel so special. We were happy that the sea bass is back and one of our party enjoyed the rack of lamb. 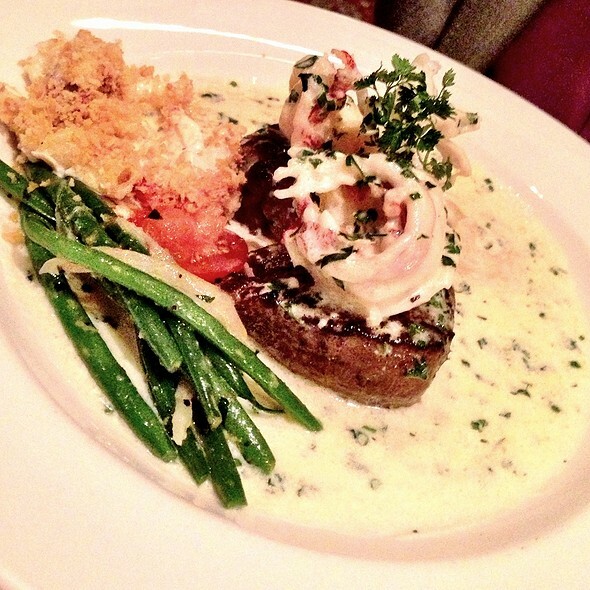 Always enjoy the filet- perfection! Yet again, however, the wine we selected was not available. Capital Grille- please keep your wine list updated. It is frustrating to go through the challenge of selecting a wine and then discovering that it is not in stock. Outstanding in every way, our servers were the best! I was so impressed at the service from the very start. It was my MIL birthday and all the little things they did to make her feel special were truly appreciated. From the rose petals on the table to the complimentary champagne with desert, everything was exquisitely done. We totally enjoyed our evening at the Capital Grille. There were four of us, we dined outside, and the waiter Tim, and his assistant Shea were both excellent. They were attentive, pleasant, courteous, and very professional. Teresa, the hostess the previous evening, was very nice and showed us through the restaurant, and pointed out the best features. 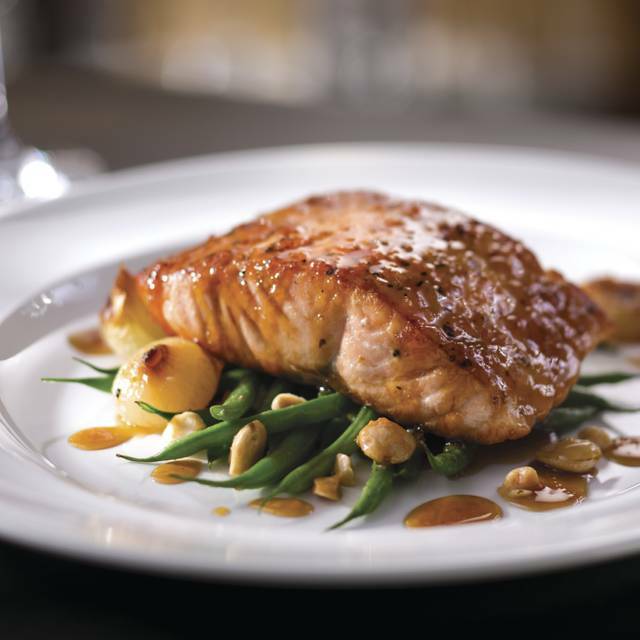 We look forward to dining again at Capital Grille. Everything was great, as usual! The Clam Chowder had ample Clams in a creamy base. I asked our Wait Staff, Jose Jimenez, why the Lobster Bisque was no longer on the menu, and he said it was available when requested. He then brought us a bowl of Lobster Bisque to share as a kind gesture. The Grilled Salmon was cooked PERFECTLY. The accompanying Couscous with Tomatoes, Olives and Capers was quite tasty, but a bit too salty for us on BP meds. We were offered another choice, but we had already started the meal. The dessert of Chocolate Cake and Cheesecake was heavenly decadent. Our Wait Staff, Jose, was very friendly and always professional. David our server was great. I had asked for bar area but it was full. They accommodated us with the bar menu in main room. We were made to feel welcome. They decorated table. We were given a birthday dessert and a little bit of bubbly, so wonderful. Could not have had a better birthday lunch. Our waitress was outstanding as was the food. The best I’ve ever had. Fantastic food. Calamari and jumbo lump crab appetizers that were excellent. Seabass and bone in filet that were top quality for any restaurant. Lobster was tender and tasty. 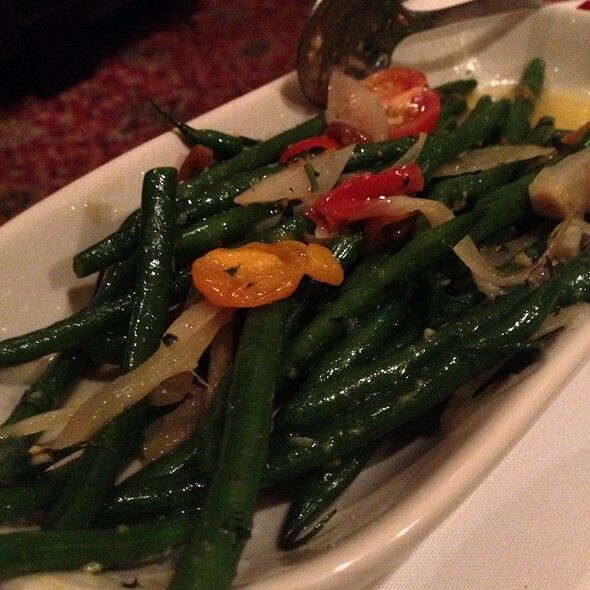 Ample sides of sautéed spinach and green beans. Of all the times I have eaten at this location, this is the first time I ever had a complaint. The service was slow and inattentive. Took about 25 minutes to get our drinks. My drink was not right and had to be sent back. The server forgot a salad and the lobster and we had to ask the manager for both. 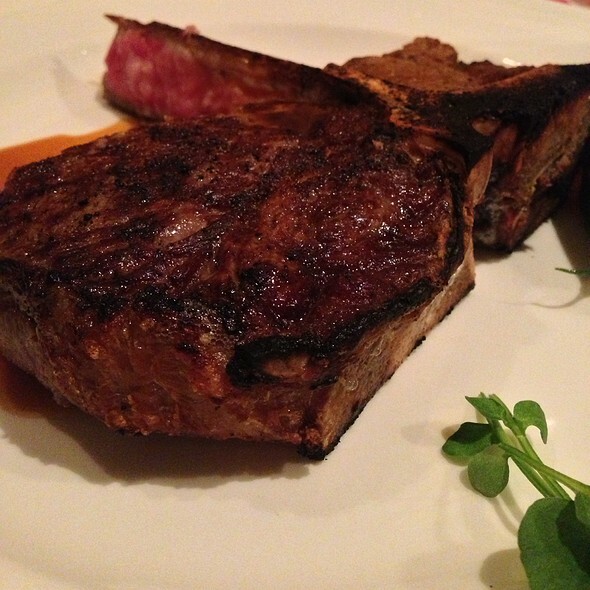 The server also did not have the bone taken off the steak after it was cooked so we would not have to work around it. Disappointing as the service is usually phenomenal. Delicious steak. Delicious potatoes Augratin. Delicious dark bread and butter. Steaks were great. Baked potato was average, service was wonderful. Thanks for a nice evening out! This by far was the BEST dining experience!! Our meal was outstanding & our service even better!! Made my husbands birthday dinner the BEST! Thanks so much Daniel S for going above & beyond! Amazing food, friendly staff and exceptional service every time! 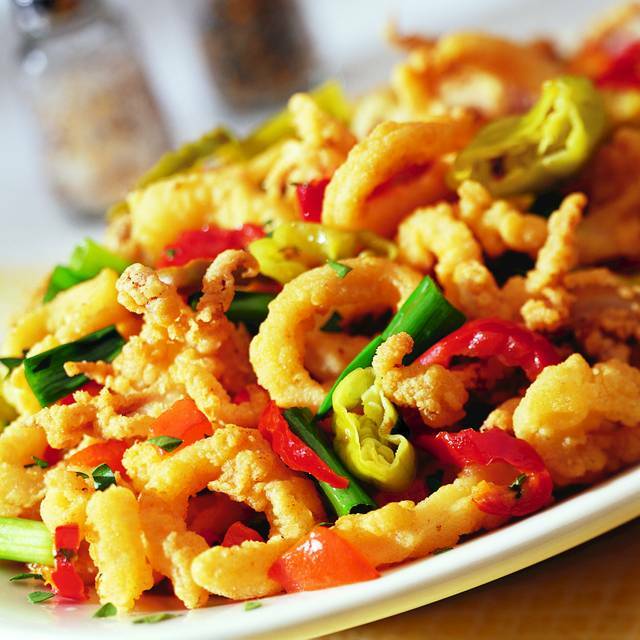 They consistently deliver a wonderful dining experience with delicious food, great menu selection, and friendly and knowledgeable staff. We celebrated our 41st anniversary Monday night. When we arrived there was confetti and flower petals on the table along with a card from them! That was very nice. The food was really nice and the ambiance is great. I am on a special diet for a few weeks and the waiter was very accommodating with my requests. Outstanding service and great food! We celebrated our Anniversary and they made sure to make it a special one! Thank you. Five star service ... never waiting and someone is always checking on you. The bread is warm with a nice selection. Steaks are very good BUT not Steak 44 good. But the great service makes up for it. If you can’t decide on a dessert... the cheesecake is a must. Made with ricotta cheese so much lighter than traditional cheesecake. It’s a special occasion place not every day dining. Best meal and service!!! We sat outside in a beautiful chilly night.. the staff made sure we were nice and comfortable with the heaters The food and the service was outstanding!! I love this place. 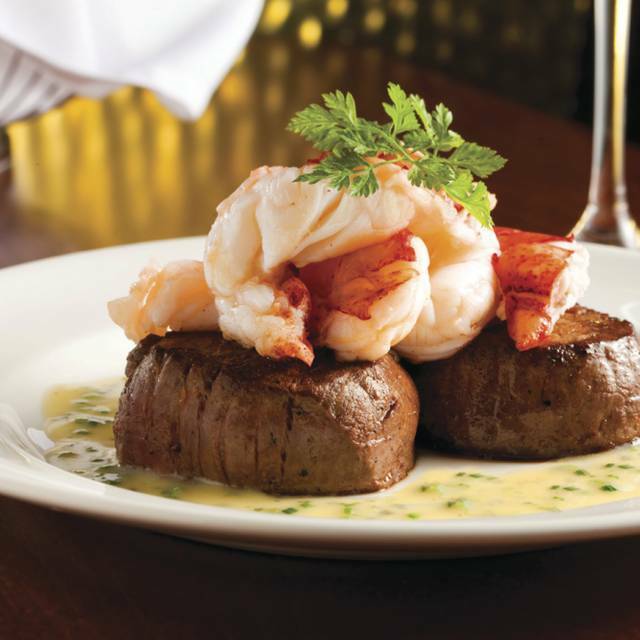 It's expensive, but it has a warm atmosphere, excellent food, and outstanding service. Another great meal at the Capital Grille. Food was delicious, service was outstanding and the ambiance was perfect. Amazing food but the service was the cherry on top. Not sure you can find a better dining experience in Arizona. It was my wedding anniversary and we don't do evenings out like this often. I had let the staff know it was a special evening and they greeted us with flower petals and a card on the table. Happy Anniversary from all the walked by it was very sweet. Our waiter was very kind and took time to explain menu options and so forth to make sure we were happy with everything. Atmosphere was quiet but not stuffy and elegant but not extreme. Probably best experience at a Capital Grill! Experience was great....staff, ambiance & quality of food. Thought the price of the food & cocktails were pretty high. Everything was superb. I took my my parents and they really enjoyed it. Excellent service, fantastic food! Thank you for the wonderful experience. As always great. Fries better than mastro.